Considering it was their first E3 conference, I think Bethesda did very well. The company started off on a very strong note by showing off extensive footage of the upcoming DOOM. Not only did they give gamers and the press a look at single-player content, but they even showed off multiplayer. I was happy they remembered that not everybody plays either mode and decided to cater to both crowds. The game looked to be a faithful sequel of sorts to the previous DOOM games — maintaining the fast-paced movement and gory action the series was known for back in its heyday. Having said that, I think they possibly focused a bit too much on DOOM. The presentation went on for too long — and by the end of it, I was more than ready for them to move on to just about anything. Battlecry was a very disappointing followup to DOOM. This is a game that I’ve had my eye on since its reveal last year, and I’m sad to say that it it doesn’t look like anything special. The team kills are cool, but flashy team kills a good game does not make. The animations of the characters looked far too janky for my liking and ultimately spoiled that section for me. 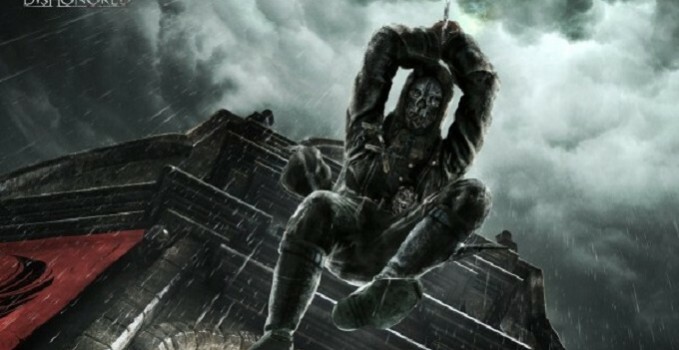 Dishonored 2 was a somewhat pleasant surprise. I say ‘somewhat’ because the game was leaked the previous night as Bethesda was doing rehearsals with their mic while broadcasting to Twitch. 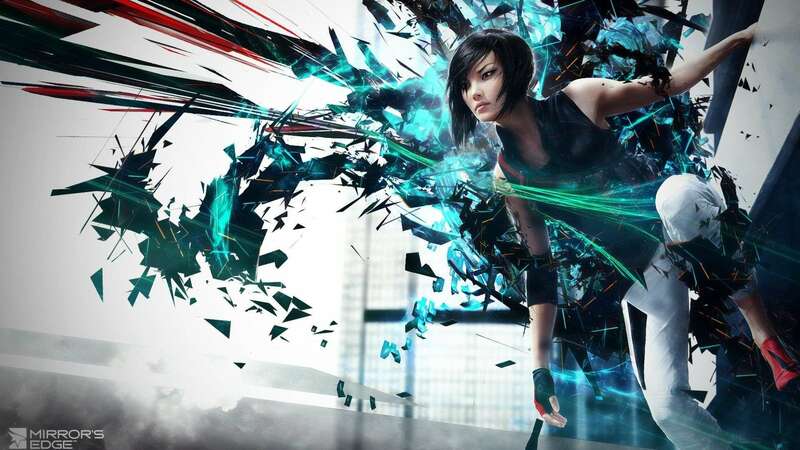 Even with this in mind, the way they revealed it with Emily from the original game using demonic-looking powers to take out her target was cool. However, I do wish they had shown actual gameplay instead of that CGI trailer so we would have a better idea of what to expect for the final release. With the announcement of Dishonored 2, they’ve solidified my purchase of Dishonored: Definitive Edition. As expected, Fallout 4 took up the last section of reveals — starting out with an impressive look at concept art before diving into the game itself. Character creators are typically one of the most boring aspects of a game, but the way Bethesda put their own creative spin on the age-old mechanic was nice. Also, interracial babies was a cool touch — although I have to wonder why they did that if the protagonist’s significant other and child die a few minutes later. Speaking of which, I wasn’t too happy learning that the protagonist was the only survivor in his or her vault. I could have gone without that information as it kind of spoils the “what if my wife/husband and/or child survived” portion of that part of the game. 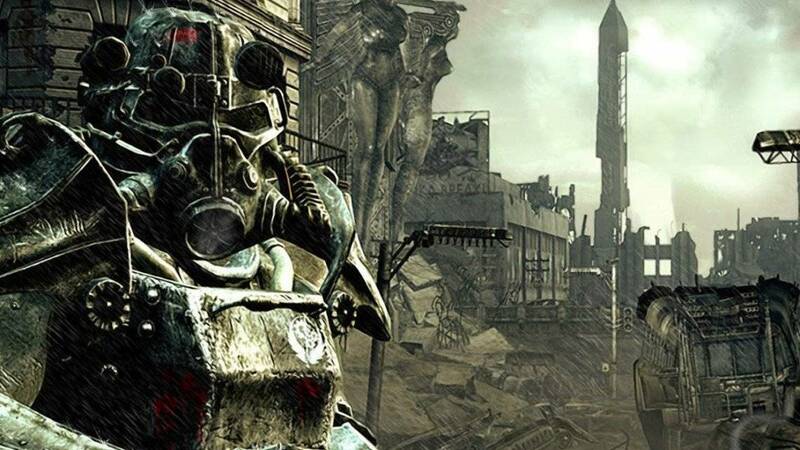 All in all, Fallout 4 looks like it’s an impressive game — and it might just be my first Fallout game ever. 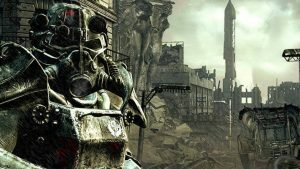 Bethesda entered E3 with a very strong lineup of games and made me walk away wanting both Dishonored games and Fallout 4, so I’d say this one was a success. Given that Microsoft was the first of the big three current console manufacturers to go, they had a lot of pressure on their shoulders. Opening up with a montage of Lara Croft, Marcus Fenix, and Master Chief was a nice way to give us a brief glimpse into the next 90 minutes that we would spend watching their reveals. 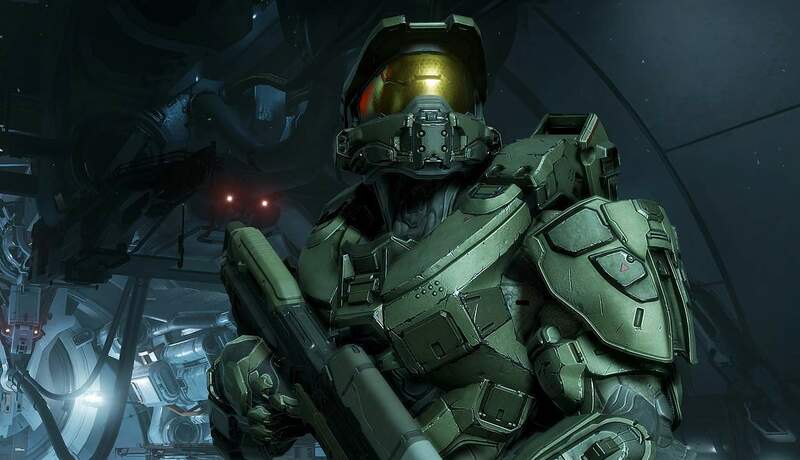 Like Bethesda, Microsoft started off with one of its heavy hitters: Halo 5. This was a double-edged sword. On one hand, I was delighted to see more Halo (although my stream messed up a few times during the gameplay segment they showed) — but it’s also bad because of how it impacted the conference going forward. I was disappointed to see that they used Fallout 4 as a follow-up to Halo 5. On almost any other occasion, this would be a good thing — but seeing as how most of the footage shown was recycled from Bethesda’s conference, I was bored to tears by this segment. I didn’t expect what they showed off next: backwards compatibility. Yes, Microsoft had somehow managed to pull a rabbit out of their hat and bring Xbox 360 backwards compatibility to the Xbox One. 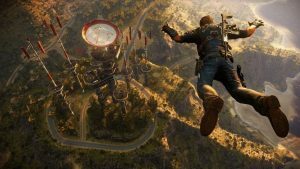 The method seemed a little complicated — with games installing to your Xbox One if you’re using the disc version or your pre-existing digital library just popping up in the library. That last bit kind of washed away the hype, too. Seeing how both Microsoft and Sony handled launching titles from the previous generation on their respective storefronts just a few years ago kind of makes me wary of this feature. I feel like it will get a lot of support initially with Microsoft convincing lot of publishers to greenlight their games before quietly forgetting about the feature and allowing it to disappear into obscurity. That aside, I love that they incorporated the Game DVR mechanics into backwards compatibility. 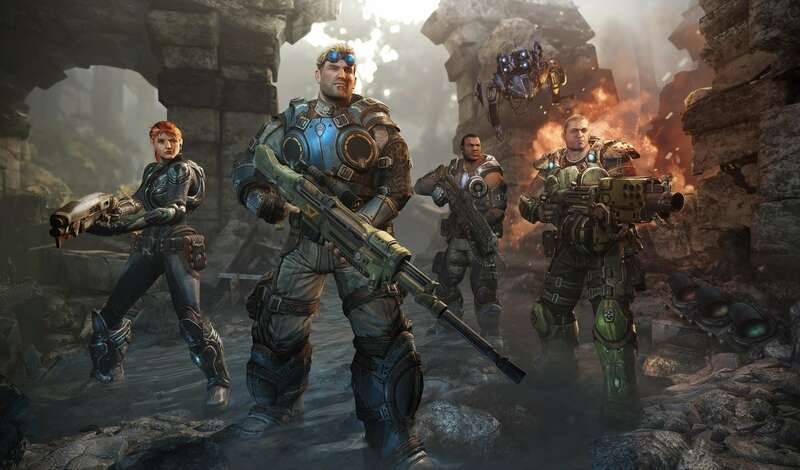 Microsoft closed out its conference with a first look at Gears 4. I was impressed. The graphics were pretty, and I was delighted to find that they’ve returned to the horror-esque tone that made the original Gears of War so much fun. Overall, I think Microsoft had a very strong start . . . but faltered by blowing their load early with the backwards compatibility reveal. It would have been smarter to spread out everything that was featured in the first half of the conference throughout the show to offer a bit of balance. Oh boy, this was really bad. Like the previous conferences, EA started off nicely with reveals of Mass Effect: Andromeda, Need For Speed, and even Unravel. From there, it became a train wreck featuring sports and Pele. If there’s one thing I don’t watch E3 press conferences for, it’s sports. Since it’s EA, I understood that sports would be featured at some point in time — but I was surprised by just how long they would be featured. It seemed like it took forever to get through their sports and mobile section. Just when I thought we were in the clear to move on to more exciting things, Pele took the stage. Admittedly, it was impressive seeing Pele’s famous soccer goals from when he was in his prime, but doing an interview with him in the middle of the press conference wasn’t needed. At this point, I could have fallen asleep — but lucky for me, I didn’t . . . because we still hadn’t seen FIFA gameplay yet. EA wasted so much time focusing on Pele they only had a short time to actually show off the game he was advertising. When I realized this, I was flabbergasted. They should have shown the game, talked to Pele — then closed that segment with the trailer for the game, featuring Pele. Even with Mirror’s Edge (which looked pretty) as a followup, they had lost me. By this point, the conference was over — and I couldn’t have been happier. EA quickly lost steam and sucked away any desire I had to keep watching the conference by a strong focus on Pele and sports. This was a much needed followup to EA’s disaster of a press conference. Strangely enough, Ubisoft started off on a weak note (I’m not really a South Park person) and got progressively stronger as the conference went on. I think this was a much better approach than the preceding conferences because it left a better impression on the viewers. If there’s one thing I remember most from the various conferences, it’s the end content — so to end with the best titles was very, very smart. But . . . we had to deal with Aisha Tyler the whole time. I appreciate Aisha Tyler’s contributions to the world of gaming press conferences, but her constant jokes got really tiresome after a few minutes. It was all so . . . cringeworthy. That’s a professional word, right? Anyway, I really liked the look of Rainbow Six, Ghost Recon, and especially For Honor. Rainbow Six’s focus on teamwork really makes me want to grab a group of random people off the Internet, become best friends, and then run missions like we’re Wild Bill and his friends. Ghost Recon was a pleasant surprise, considering how much I loved Future Soldier — although I was disappointed by the lack of a futuristic setting. I would have been very happy if this was a direct sequel to Ghost Recon: Future Soldier, but I’m still cautiously optimistic about its current setting and open-world gameplay. 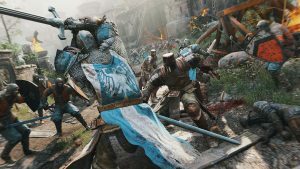 Watching the For Honor trailer made me excited — but in the back of my head, I kept thinking: ‘This isn’t how combat or anything will work. They should have shown that in addition to the trailer.’ And then they did. I was floored. Seeing that combat was actually pretty close to what was shown in the trailer put a huge grin on my face. I can honestly say that I can’t wait until I’m able to join up with a few friends and take on two samurais at once — because who wouldn’t want to do that? But yes, like I stated earlier, Ubisoft started off slowly — but it ended really well. Rainbow Six, Ghost Recon, For Honor — and even The Division to a certain extent — are now on my radar for potential PS4 games. Sony’s press conference was nothing short of amazing. They started off strongly and kept delivering heavy hitters like nobody’s business. Beginning with a re-reveal of The Last Guardian was somewhat expected, but very much appreciated. The game looks amazing and pretty fun. Then they showed off Horizon Zero Dawn, which looks equally amazing — and +1 for a female protagonist who isn’t in skimpy clothing. And then came the two biggest reveals: the Final Fantasy VII remake and Shenmue III. Hearing the roars of the crowd was hilarious. I love the fact that Sony advertised a Kickstarter during its press conference because of how much sense it makes. Shenmue III isn’t the first Kickstarter to get some spotlight from Sony. Last May, Amplitude was featured on the PlayStation Blog when its Kickstarter launched. This highlights a very important aspect of Sony’s E3 press conferences: Essentially, they represent a flashier way of showing off new or existing games rather than just having them featured on the Playstation Blog. That’s not a bad thing. Just an observation. Sony finished off with Uncharted 4: A Thief’s End, which I enjoyed — but I also think the driving section went on for a bit too long. If anything, the section after the demo that members of the press were shown behind closed doors seems like something they should have shared with viewers of the conference. All in all, Sony’s conference started off swinging and never really stopped. They had the heaviest hitters of the show, too — but that’s a double-edged sword I’ll get to in a moment. In short, I didn’t like it. I haven’t been an avid Nintendo fan for a long time, and this certainly didn’t make me want to go buy one of their platforms. I liked that they presented with puppets; that was funny. In addition, the puppet segments served as a nice transition between reveals . . . but the reveals were pretty lackluster. Star Fox looks rough around the edges for a game that’s coming out later this year. 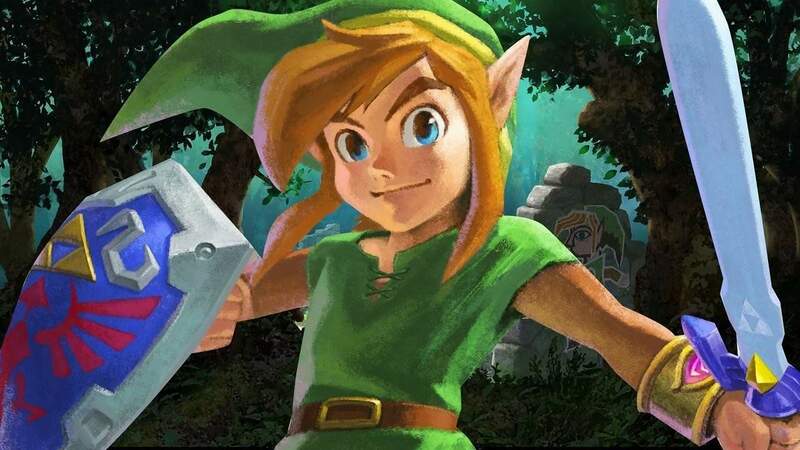 Triforce Heroes was cool at first — until they stated that you can’t just play with one Link. When you’re alone, two AI Links join you. That killed any excitement I had for this game. Metroid Prime: Federation Forge is . . . disappointing. Like many others, I would have liked a console Metroid Prime game akin to what we had on the Gamecube and Wii — but four-player co-op is cool. I don’t think they did a good job at showing off Animal Crossing: Happy Home Designers. As someone who doesn’t play Animal Crossing, I’m still trying to figure out what exactly it is. I understand that you design homes, but how do you get the material? Is it through playing that board game or going into town like in the other Animal Crossing games? This trailer could have done a better job of showing what it is players do and how they go about doing it. Nintendo closed off its digital event with more Mario. At this point, I think Mario should be given a small rest. This press conference was almost as bad as Nintendo’s. By giving developers a podium to present from, I felt like I was back in school watching someone stumble through a PowerPoint presentation. Phil didn’t help alleviate this feeling, since he talked for far too long. Then they showed off Just Cause 3 . . . with an announcer talking over the gameplay footage. The announcer killed the footage and did something I didn’t know was possible: He made Just Cause sound ridiculously boring. I was surprised to hear that the Final Fantasy VII PC-to-PS4 port got delayed to late 2015 — while the just-announced iOS version would be coming out in just a few months. I have to wonder how that happened. The Kingdom Hearts 3 reveal was lackluster only because of how long they took to get to it. Instead of just showing off the game, the presenter beat around the bush, showed off the mobile game, and then gave us KH3 gameplay. By that point, any excitement I had flew out the window. 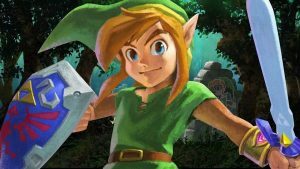 I think everyone except Nintendo and Square Enix had something impressive to show. As I mentioned earlier, Sony hit the hardest — which is good for them and somewhat good for us. They managed to bring back beloved fan favorites that people had been clamoring for — but by doing so, they stifled most press coverage for any other game not named Star Wars Battlefront. 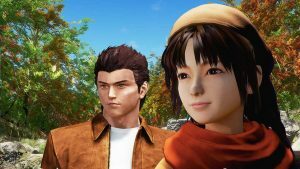 As cool as it was to see Shenmue III and the FFVII remake come to life along with some of the other games, I believe their inclusion in the conference was also detrimental to the event itself. FFVII and Shenmue III were among the most talked about games at E3 2015. That’s somewhat bad because they absolutely snuffed out anything that the other game companies showed off or games we already knew about but which might have had minor announcements or a new on-floor demo. Press coverage for games such as Disney Infinity 3.0 — which had a minor appearance during Sony’s conference — didn’t hold a candle to the amount of press those big titles got. Even on YouTube, it’s hard to find good footage of some of these games in action — despite that option being readily available to journalists and E3 attendees. It’s like most people decided to spend time talking about Uncharted 4, Shenmue III, and Final Fantasy VII instead of getting more footage and writing about other things. Due to the large focus on three or four games, post-conference coverage really disappointed me. Most of the conferences themselves were nice — but otherwise, I’m leaving E3 week disappointed.